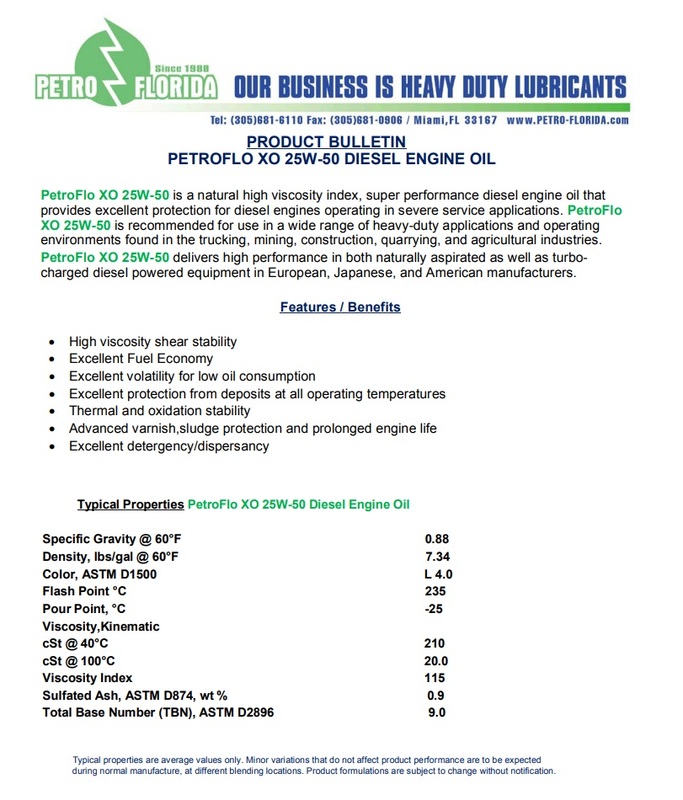 PetroFlo XO 25W-50 is a natural high viscosity index, super performance diesel engine oil that provides excellent protection for diesel engines operating in severe service applications. 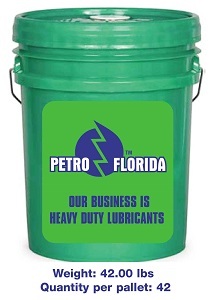 PetroFlo XO 25W-50 is recommended for use in a wide range of heavy-duty applications and operating environments found in the trucking, mining, construction, quarrying, and agricultural industries. PetroFlo XO 25W-50 delivers high performance in both naturally aspirated as well as turbocharged diesel powered equipment in European, Japanese, and American manufacturers.